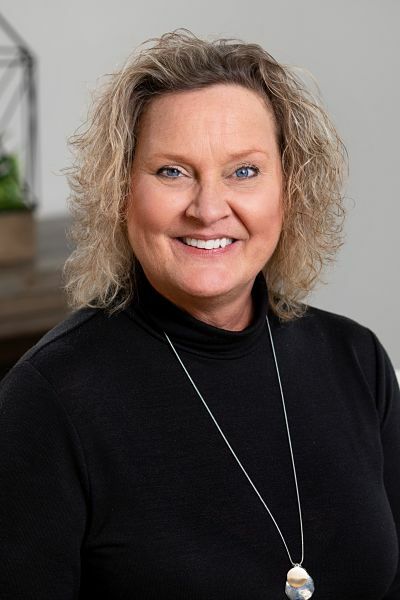 After 15 years as a small business owner, Brenda was urged by family, friends and past clients to put her customer service skills and keen eye for design towards real estate and decided to join the RE/MAX United team in Rockford. Brenda started a new journey the day that they opened their doors, becoming their second official agent. Brenda assists all clients; from a first time home buyer to the seasoned veteran of buying and selling. She holds the ABR, Accredited Buyer's Representative, and SRES, Senior Real Estate Specialist, designations and has been a member of the RE/MAX 100% Club for the past six years. Brenda is passionate about working hard for her clients and always providing timely and quality service. When she isn’t at the office or showing homes you might find Brenda spending time with her family and friends, walking her great danes, Reo Tailwaggin & Jaxs, or enjoying life on Scram Lake. She is looking forward to a summer filled with laughs, kayaking and boating, and most of all a new grandson. Although Brenda grew up in the greater Grand Rapids area, she loves traveling around Michigan and exploring different places that she has never been before. Brenda strongly believes in giving back to the communities and she actively volunteers with and supports local charities and causes. Some of her favorites include: Rockford Start of Summer Celebration, Rockford Harvest Festival, Santa Parade, Relay for Life, Hammer for Hope and Children’s Miracle Network. Not only is helping out with these causes fun for Brenda, it gets her out in the community where she loves to be.